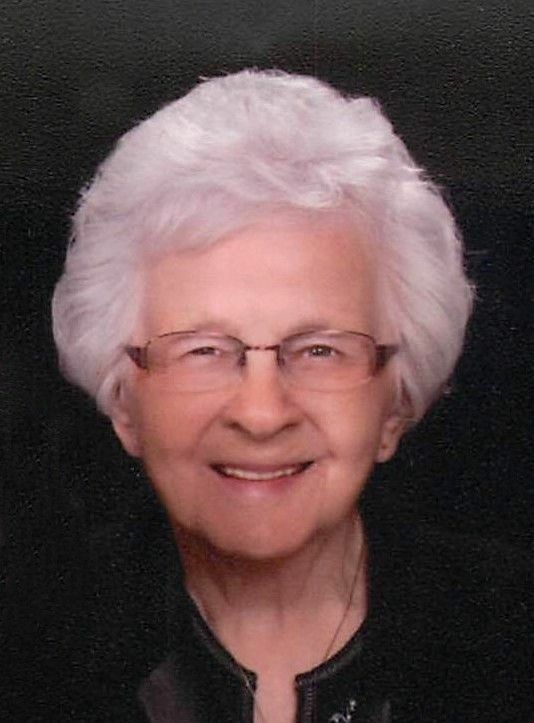 FOREST CITY, IOWA – Elaine A. Nerdig, 91, of Forest City died Monday, April 8, 2019 at the Westview Care Center in Britt, Iowa surrounded by her loving family. Elaine A. Nerdig was born June 24, 1927, the daughter of Archie and Etta (Holmseth) Anderson in Albert Lea, Minnesota. She attended and graduated from Rake High School. She also furthered her education at Mankato Business School. She was married to Dale Nerdig on February 21, 1948 at the Liberty Lutheran Church in Rake, Iowa, to this union, four children were born. Elaine and Dale farmed for many years in the Rake and Thompson areas before moving to Forest City in 1969 when she started working for Winnebago Industries. She worked there until her retirement in 1989. Elaine enjoyed quilting, working on puzzles, baking and loved being the host for all the family holiday events and get togethers at her home. Family was important to her, she enjoyed attending her grandchildren's events and enjoyed the wonderful times she spent with her family. Elaine was a long-time faithful member of Immanuel Lutheran Church where she volunteered countless hours and was a member of her circle. She will be dearly missed by all who knew and loved her. Elaine is survived by her children, Linda (Don) Gruis of Buffalo Center, Vickie Swanson of Forest City, Roger (Linda) Nerdig of Algona and Lori (Dave) Schlitter of Spring Valley, MN; grandchildren, Shari Gruis, Jason (Rachelle) Gruis, Kelli (Verne) Hecker, Angie (Tim) DeWaard, Alison (Nick) Bailey, Matthew Swanson and special friend, Jenna Hagen, Amber (Scott) Kollasch, Sarah (Seth) McChesney, Michael Schlitter, Emily (Soren) Grandall; great-grandchildren, Tyler and Alyssa DeWaard and Ryan and Kelsey Bailey, Carson and Drake McChesney, Lillian Krogmann, Leigha Gruis, Tate Grandall and baby Kollasch due May 2019; sister, Mavis Ann Rasmussen; sister-in-laws, Sharon Nerdig, Rosie Nerdig, Beverly Anderson, Joyce Anderson and many nieces and nephews. She was preceded in death by her parents; husband, Dale in 2014; brothers, Carlisle (LaRene) Anderson, Dale Anderson, Ronald Anderson and infant sister, Beverly Anderson and brothers-in-law, Larry and Harvey Nerdig.